Universal Funds is the choice for your businesses financial solutions, providing a quick and simple alternative to traditional loan programs for your businesses working capital needs. With our extensive selection of credit card terminals, PIN pads, and printers, Universal Merchant Solutions will cater to the specific needs of every business whether you're a small café or a large restaurant chain. Expand any type of business into a business on wheels. Accept payments anywhere. If your a small business and work-from-home, mobile credit card processing helps increase cash flow wherever your business takes you. Universal POS, we strive to get the right solution customized to our customers’ needs; whether it's a restaurant, a mom-and-pop store to any kind of take-out business. We have the latest and greatest technology to track customers, your sales, promotions and your products. Having our design experts create a unique, well-designed logo will guarantee your company image is well represented in the years to come. Universal Designs will create a look that uniquely represents your business. America's #1 Direct Lender for Merchant Unsecured Business Loans Makes Funding Your Business Easy! Universal Funds is the choice for your businesses financial solutions, providing a quick and simple alternative to traditional loan programs for your businesses working capital needs. We take pride in each relationship we have with business owners from all over the United States, independently structuring the right funding solution to help their businesses grow and prosper. Our experienced office staff is fully capable of handling any of your questions regarding the services you acquire with us and are always just a phone call away! Universal Funds, since opening its doors in 2006, has marked its place in the business world by helping business owners establish low-rate cash advances and credit card processing services. In addition, we also provide credit card terminals, printers, check readers, mobile payment devices, pos systems and any other item or service needed to process payments for your establishment to your specific needs. 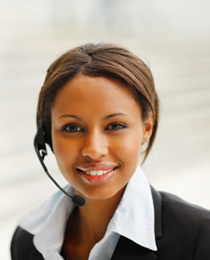 You may receive faster service by speaking with an account executive directly by calling 1-888-725-7760. 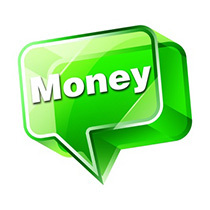 Payment Loan Product - Fixed Daily Payments from account via ACH (Automated Clearing House). For Seasonal Businesses we have Variable Daily Payments from account via ACH (Automated Clearing House). Cash Advance – Percentage of Daily Credit Card Sales via Split Funding. Timing Decisions in as fast as 48 hours, funding in as fast as 72 hours. Time in Business We make loans to businesses that have been generating revenue for 1 year. Industries Over 200 different industries, including restaurants, retailers and other service providers. Approvals Within 24 Hours, See How Much You Qualify for, Apply Now! I really just never thought it would be so easy! It was so simple, I would recommend them to any one of my friends. I couldn’t believe how quick the process was.